Blurb.com Promo Code: Save 25% off any Order of 3 or More Books! Saving mom's day: potty training, diaper cakes, homemade Pedialyte, how to make bubbles and plenty of other ideas! What is a Cricut Machine? What’s in the Cricut Disney Mystery Box? A new Blurb.com promo code was just announced. Save 25% off your order containing 3 or more Blurb books from now through 2/25! 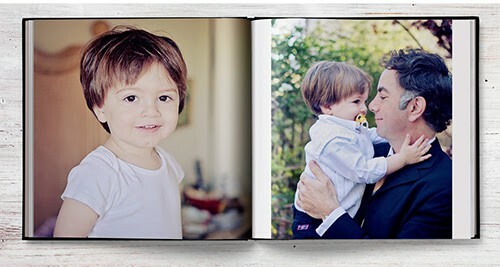 Blurb offers custom printed books and ebooks, including photo books, Facebook and Instagram books, baby books, wedding books, cookbooks, and much more that you can choose to sell in the Blurb bookstore for commission. To take advantage of this deal, place your order at Blurb.com using the Blurb promo code THREEPLUS by 2/25. Shipping rates are based on the quantity of books ordered, book size, and delivery destination. Subscribe for tips, ideas and advice that just might save your day. Your info will never be shared, because that's not cool!